Lone Star Muscle Cars Is Proud To Present This super cool and collectible Car The 2010 Chevrolet Camaro TRANSFORMERS Special Edition includes the following: AUTOBOT® shield on the driver and passenger side panels,shield on each of the four wheel's center cap, shield embroidered on interior center console,logo on driver and passenger doors' sill plates, TRANSFORMERS" logo embedded into the hood rally stripes, High-gloss black center rally stripe package. 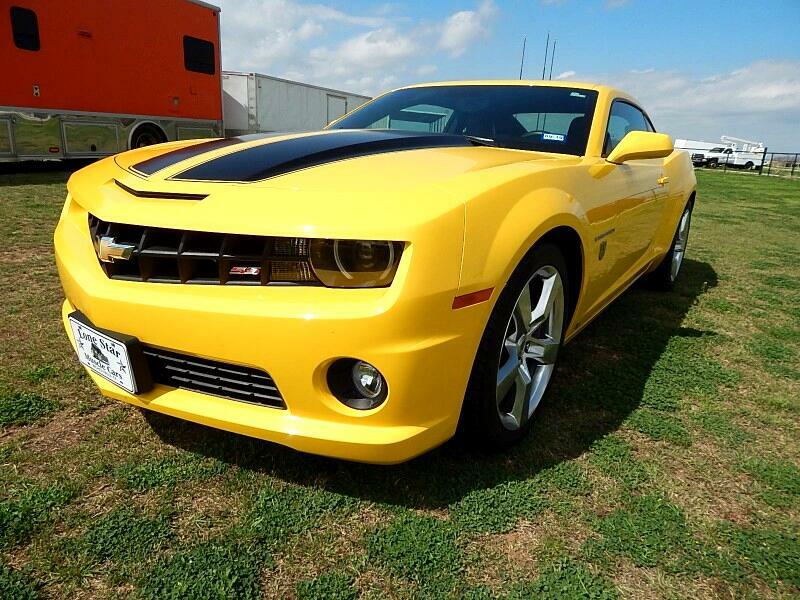 The high-performance Camaro SS is equipped with a powerful 6.2L V-8, with a six-speed manual transmission. The Manual transmission-equipped models receive the LS3 engine, SAE-certified at 426 horsepower (318 kW) and 420 lb.-ft. of torque (569 Nm). It is paired with a TR6060 six-speed transmission. Here is your chance to own a showroom condition low production car that stands out from the crowd. Call for more info.